In addition to “Bleach,” yU+co worked on other recent global hits including the “Tomb Raider” reboot that opened in March; and “The Meg,” “Crazy Rich Asians” and “Mile 22,” which all open in August. 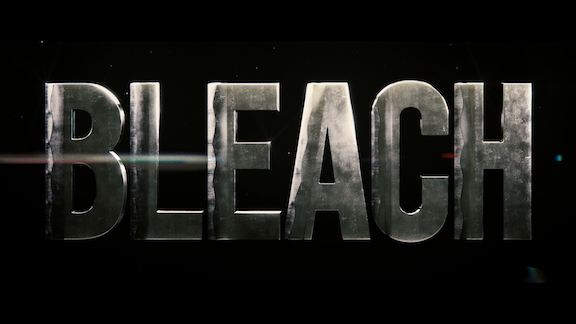 In the opening title sequence of “Bleach” (Warner Bros), as envisioned by the award-winning creative studio yU+co, something has gone horribly wrong. Cities are burning, fish are dying and the rush of intensely edited time-lapse images perfectly foreshadows the dire consequence at stake in the new live action film. Based on the incredibly popular Japanese manga series, “Bleach just opened internationally, and had its U.S. premiere on July 28 at JAPAN CUTS film festival in New York City. In addition to “Bleach,” yU+co worked with Warner Bros on other recent global hits, including the “Tomb Raider” reboot that opened in March; and both “The Meg” and “Crazy Rich Asians,” which bow in August. The 20-year-old creative studio also designed the titles for “Mile 22” (STX Entertainment), also opening in August. For both Garson and Adrian, the concept that resonated most with “Bleach” producers was the idea of blending traditional Japanese folklore with Japan as a society today. The title sequence opens seemingly peacefully with an all white background and some simple onscreen text that sets up the story, but from there tone quickly shifts as time-lapse security camera begins to make clear something has gone awry. Shots of normal traffic and city skylines, which at times appear projected on the surface of various swords (another key element of the “Bleach” universe) give way to shots of various shrines and ancient statues, followed by shots of full scale destruction in the form of explosions, fire and not-so-subtle illusions to catastrophic environmental disaster. For images in the title sequence, yU+co created their own CG elements, most notably two security camera shots of cars exploding in parking garage. Their original CG elements were then combined with shots the actual “Bleach” film crew shot specifically for yU+co, as well as an array of stock photography and newsreel footage. Those elements, along with a pulsating soundtrack, imbue the title sequence with a sense of gritty realism that sets the perfect tone for the film. While there is plenty of yU+co’s remarkable 3D animation present in the title, albeit rendered in a photo-real style so that is hard to tell where CG ends and live action begins, the real star of the open is the intense contemporary flipbook style editing that drives the overall concept. Founded 20 years ago by visionary creative director Garson Yu, yU+co is a digital innovation studio designing memorable visual content for every medium.